Volunteer docents are invaluable to the Isaacs Art Center; they play an important role in implementing the center's educational and community engagement missions. Professionals from all walks of life — doctors, lawyers, teachers, and artists, to name a few — are docents at the center. Prior knowledge of art is not required, only a passion to share and enjoy it with others! 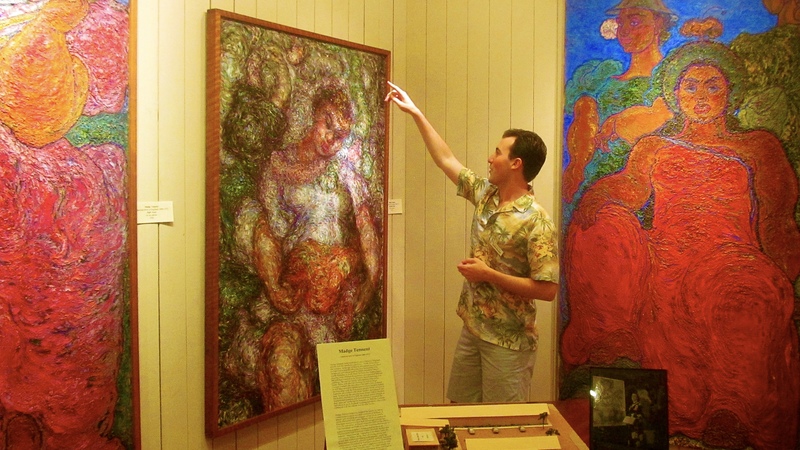 To learn more about joining the Isaacs Art Center's docent program, please contact us. Current docents may log in to the volunteer portal here. Use the hub to view or change your scheduled shifts and sign up for vacancies.